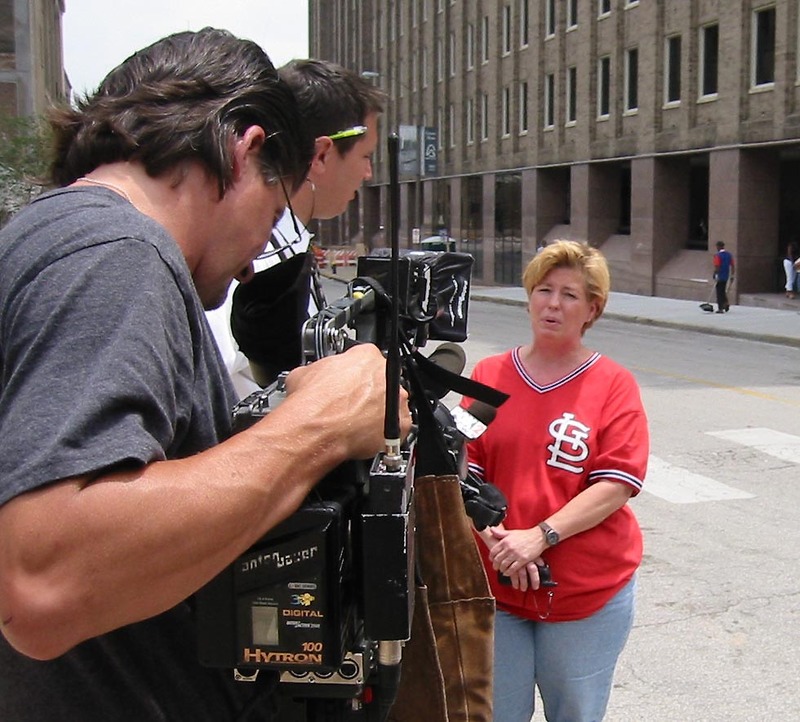 Rossie Judd being interviewed by reporter Andy Banker, Fox 2 News, opposite the National Labor Relations Board in downtown St. Louis in June 2003. She had just filed unfair labor practice charges. prepared by MOGASP and Billy Williams, against her employer, Daimler-Chrysler, and the UAW. Following the failure of the recent effort by MoGASP and others, especially Representative Jeanette Mott Oxford, an asthmatic, to make the House side of the State Capitol smoke-free, another approach is being pursued: filing an Americans with Disabilities Act complaint, as reported in the following St. Louis Post-Dispatch story by reporter Tony Messenger. JEFFERSON CITY • A Fenton woman has filed an Americans with Disability Act complaint about smoking in the Missouri Capitol after the House voted to allow members to keep lighting up in their offices. Judd has chronic obstruction pulmunary disease, asthma and chronic bronchitis, making her disabled under the ADA, she says in her complaint, filed with the House’s ADA coordinator, Keith Sappington. Judd’s complaint was distributed today to reporters by state Rep. Jeanette Mott Oxford, D-St. Louis, who had sought to amend the House rules to ban smoking in representatives offices. “I do continue to believe that the Missouri Capitol Building should be 100% smokefree. The inconvenience of having to go outside this building to smoke is minimal if it can prevent an asthma attack or heart attack and possibly even save a life. It is also very important that we set a good example, as well as protect the health, of the thousands of school children who tour this building annually,” she said in an email. The ADA complaint could spur a federal response, depending on how the House deals with it, Oxford said in her e-mail to reporters. Missouri GASP and Mr. Billy Williams of Texas last used the ADA to help Ms. Rossie Judd obtain a smoke-free workplace when she worked on the assembly line at the Daimler-Chrysler minivan plant in Fenton, Mo. The plant went totally smoke-free in 2004 after an intensive one year effort. The media, including St. Louis Post-Dispatch reporter Kim Bell, who wrote about it extensively, played a helpful role by publicizing this effort. 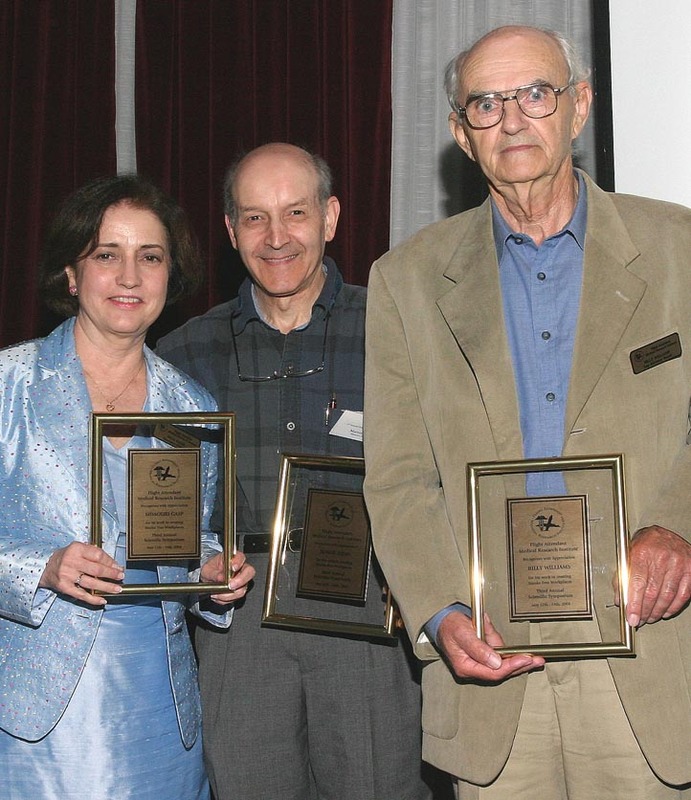 Missouri GASP and Ms. Judd were subsequently honored for their achievements by the Flight Attendants Medical Research Institute, Miami Beach, Fl., at FAMRI’s Third Annual Scientific Symposium in May, 2004. Judd’s newest complaint has been filed with the entities controlling the House side of the State Capitol. Missouri GASP’s last effort to get the State Capitol smoke-free using the ADA resulted in a Memorandum of Agreement which made all public areas of the State Capitol smoke-free, including members’ secretarial offices, smoke-free, but exempted members’ personal offices. This actually could be good news for those fighting for the freedom of choice. The anti-smoking “Pro-ban” activist have done everything possible to keep their junk science out of court. (including dropping their lawsuit against OSHA). Asthma incidence in under 15-year-olds has increased from 5.8 per 10,000 in 1970 to 35.8 per 10,000 in 1997.
from 40% to 24% and according to the CDC, exposure of children to ETS decreased 75%. Can MoGASP also help apartment dwellers make apartment buildings smoke-free ? mogasp reply: If we had a magic wand, we might! This is very much a live issue in California and other progressive states. It’s hard enough getting smoke-free air in public places and the private workplace in St. Louis and elsewhere in Missouri!